Some Orthodox factions insist non-Orthodox Churches, including the Catholic Church, should not be called "Churches". That’s just one of many serious disagreements casting a cloud over Crete. Let’s briefly review the long distance the Orthodox Churches have covered in reaching the point where they are now. For the first time in modern history, since the Orthodox Churches attempted to meet in the 1860s—when they tried to heal the so-called “Bulgarian schism”—the reality of a Pan-Orthodox Council seems possible. The 19th century schism was caused by the Bulgarian Church, which had proclaimed itself independent from the Church of Constantinople; that schism was eventually healed, but not with the presence of all Orthodox Churches. Later, in the 1920s and 1930s, the Ecumenical Patriarchate tried to arrange a Pan-Orthodox venue. Again, only some Churches showed up. For instance, it was impossible for the Russian Orthodox Church to take part because it was under harsh persecutions by the atheist Communist state. When, however, the Russian Orthodox Church organized a Pan-Orthodox gathering in Moscow in 1948, to celebrate 500 years of its autocephaly, some Churches turned down the invitation or did not endorse the politicized anti-ecumenical agenda of the venue. When it came to holding a Council, however, a number of serious obstacles emerged, some rather unexpectedly. First was the reaction from ultra-conservative circles within the Orthodox Churches. In recent years, some Churches decisively embarked on a sort of Kulturkampf, and affiliated themselves at times with forms of radical conservatism. Those voices effectively paralysed the leadership of some Churches, and in some cases the official synodal structures began speaking with those voices. Despite the protests of more open-minded Metropolitans Ignatios of Dimitriada, Chrysostom of Messina, and Gabriel of Nea Ionia, the majority of the Synod eventually complied with the position of the conservative hierarchs and refused to accept the word “Church” in application to the Roman Catholic Church. The monastic community of the Holy Mountain (or Mount Athos) made its own contribution to these discussions. An extraordinary meeting of the abbots and representatives of the Athonite monasteries took place after the Easter. They drafted a letter, which was mailed on May 25 to Phanar and other autocephalous Churches. 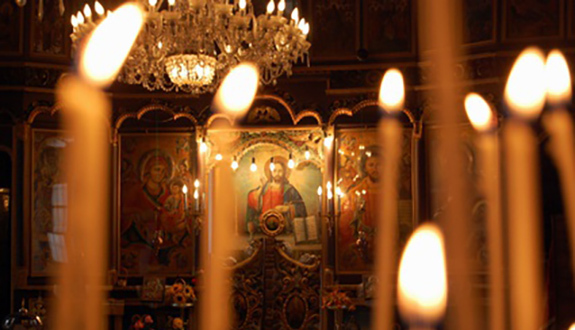 In this letter, the Athonites suggested avoiding calling the non-Orthodox Churches “Churches”. They recommended instead using the terms “Christian teachings and confessions”. It is noteworthy that the Hagiorite monks have required that the conciliar documents include references to the council in Constantinople of 879-80, the hesychastic councils held in the period 1341-1351 (which dealt with the issue of uncreated grace), as well as the councils that denounced what they have called “the uniatist pseudo-councils” of Lyon and Florence. They have stressed in their letter that the Orthodox positions on the issues of Filioque, the papacy, and nature of the divine grace should be clarified. While the councils of the 14th century were clearly anti-Latin, the reference to the council of 879-80 is confusing. On the one hand, it reinstated Patriarch Photios, who is known for his criticism of some Western theological positions. On the other hand, that council reconciled the Churches of the West and East after a long break in their relations. Therefore, the Hagiorites, probably without realizing it, encouraged reconciliation between the two Churches. Another issue that keeps the Churches nervous is that of marriage. The hierarchs are cautious not to allow in the document on marriage anything that would undermine the teaching that marriage is a union of a man and a woman. Because of this agenda the Churches became particularly sensitive about this document. Some of them, like the Church of Georgia, consider it to be not clear enough in promoting the ideal of Orthodox marriage. The Church of Georgia stated that if the document on marriage is not revised according to this ideal, its would withdraw from participation in the Council. The Russian Church faced one of the harshest criticisms from the ultra-conservative side. The wave of critique began immediately after the meeting of the Patriarch Cyril and Pope Francis in Havana, and continued in the wake of the Council of Crete. The situation had been worsened even more by the reactions to the Russian aggression against Ukraine. Some parishes of the Ukrainian Orthodox Church of the Moscow Patriarchate had suspended commemoration of the Patriarch’s name because of the involvement of the Russian Church on the side of the aggressor. Most of those parishes, however, are not conservative. However, they created for the radical conservatives a precedent of non-commemoration of the Patriarch’s name. In Russia, there were priests who stopped commemorating the Patriarch because of his meeting with the Pope, and they were immediately suspended. In Ukraine, however, it is much harder to punish such priests. Moreover, in Ukraine even the bishops stopped commemorating the Patriarch. This has been confirmed regarding Bishop Longin of Bacheny, who has promulgated a statement against the Havana meeting and against the Council in Crete. In addition, some bishops in Ukraine, including Metropolitan Agathangel of Odessa, have not ceased commemorating the Patriarch but are refusing to go to the Council. In short, the radical conservative circles in the Orthodox Churches have criticised the texts prepared for the Council because, in their judgement, those documents allow too much compromise with the Catholic Church and other “heterodox” Churches. The liberals, on the contrary, consider these texts as too shallow, irrelevant and not hitting the real problems of the modern Orthodox Church. Indeed, some of these texts were composed several decades ago and now seem outdated. Irrelevance of the conciliar texts is another reason of dissatisfaction with the Council in both ‘liberal’ and ‘conservative’ wings. In addition to these ‘theoretical’ concerns, the Russian Church raised the issue of protocol: how the primates of the Churches to be seated during the sessions of the Council. There are two seating schemes currently under discussion. The one emphasises the primatial role of the patriarch of Constantinople. The other one is to demonstrate equality of all local Churches. Needless to say, Moscow insists on the latter scheme. One of the most ancient Eastern Churches, that of Antioch, has decided to not go to the Council because of its quarrel with the Church of Jerusalem over a community in Doha, Qatar. For a long time, it was impossible to have an Orthodox community on the Arabian Peninsula. Recently, however, the authorities of Qatar permitted one and even allowed an Orthodox bishop to be consecrated for that community. The emir of Qatar chose to support a cleric from the Patriarchate of Jerusalem, Makarios, who had served there for several years, and not from Antioch, which claims jurisdiction over the Arabic lands. In some sense, this conflict reflects the political conflicts in the Middle East, with similar disastrous consequences for Orthodox unity. The two Churches have even broken their communion; their primates do not commemorate each other at liturgy. The Patriarch of Antioch refused to take part in the Synaxes, where the Patriarch of Jerusalem would be present. Now the Church of Antioch has decided to not go to Crete if the issue of Qatar is not solved. The Ecumenical Patriarchate tried to mediate a solution to the conflict, suggesting that the two Churches come to the Council first and then the issue would be investigated by a special committee moderated by Patriarch Bartholomew. Antioch, however, rejected this plan at its synod held on May 27, and it is most probable it will not participate in the Council. It is even more probable is that the Church of Bulgaria will not be at Crete either. All the Orthodox world was taken by surprise when the Synod of the Bulgarian Church decided on June 1st to not go to Crete. A special statement from the Synod confirmed that this was a final decision. The explanations given were not much different from the reservations held by other Churches. However, the final decision was adopted as an ultimatum, which is not to be discussed. However, apparently there was an agenda behind this decision of the Bulgarian Church that goes beyond what was put express in the synodal decision. According to reports in the Greek media, the Church of Bulgaria wants back the bones of the Bulgarian king Samuel (+1014), who is considered to be one of the founding fathers of the Bulgarian state. The Macedonians, however, claim him to be a Macedonian king, in succession of Alexander the Great. Needless to say, the Greeks consider the entire Macedonian legacy as their own. They actually found the bones of Samuel in 1960 on the Albanian border, and placed them to the Byzantine museum in Thessalonica. Now the Bulgarian and Greek sides (the Macedonian Church is not recognized as canonical and therefore does not participate in the quarrel) are arguing about what happened a thousand years old and have made it a major issue that threatens the Council. There is also an issue between the Serbian and Romanian Churches. The latter sends its priests to the region of Timok in eastern Serbia, where a Romanian minority lives. This practice fits the jurisdictional principle of the Romanian Church—according to this principle, the jurisdiction of the Church is defined not by territory, but by the people who belong to the same nation. Therefore, when there are ethnic Romanians living in the territory of any other Orthodox jurisdiction, the Romanian Church considers it appropriate to enter that territory in order to extend its pastoral care to the Romanians there. Of course, this has caused dissatisfaction in the Serbian Church, whose council of bishops, held from May 14-25, decided to bring this issue to the Council. It also warned that if the situation is not resolved, the Serbian Church would break communion with the Romanian Patriarchate. The Romanian Church has kept silent; in the meanwhile, it has fully endorsed the Council and is one of the major apologists for having it. Another strong endorsement has come from the Church of Albania. Various local Churches, therefore, see the Council as an opportunity to solve their internal problems or the quarrels they have with their neighbours. They essentially blackmail their sister Churches by saying that if they do not get what they want they will not go to Crete. This raises the question of the fullness of the Orthodox representation at Crete. If the Pan-Orthodox Council eventually happens, it is quite possible that some Churches will abstain from it. It will then follow earlier precedents, when there were gatherings of several Churches but some Churches decided not to participate. Finally, there is an ongoing argument between Constantinople and Moscow about whether the Council will be considered accomplished with some Churches absent, or if the participation of all local Churches is necessary. The Synod of the Russian Church, on June 3, made it clear in its statement that all Churches should take part. According to Moscow the Council would not be valid without the participation of all the Council. The position of Constantinople is different. According to the comments of Deacon John Chryssavgis from the Ecumenical Patriarchate: “If one or more churches doesn’t attend, or withdraws during the council, or is not present and doesn’t vote, all the decisions made will still hold and be binding for all Orthodox churches.” This position was implicitly supported at the session of the Synod in Constantinople on June 6, when the hierarchs of this Churches decided to proceed to the Council regardless of any difficulty that arises.